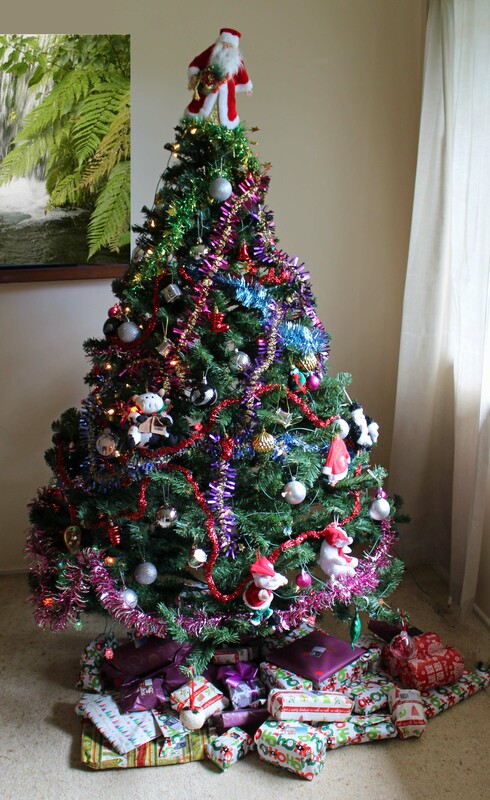 So Who Is Christmas Tree Ideas? We’ve loved Christmas time for as long as we can remember as soon as the Christmas lights go up in the shopping malls and the window displays start to include tinsel, trees etc and the radio plays Christmas music we go to our happy place! Decorating the Christmas tree is something we love to do each year, adding special ornaments and reminiscing about Christmases past as we sip hot chocolate and listen to some of our favorite Christmas tunes at the same time. Setting up a website for Christmas tree decorations was a no brainer, it’s fun and we love it, however we are also running the site in order to be able to pay for our own holiday season (and the rest of the year too!) in other words for us it’s a job, even though it’s also fun! This leads me to let you know about the legal stuff – our affiliate disclosure in other words. If you click on any links on this site or purchase any products from this site then we may be paid a commission for it. For our full disclosures and legal stuff check out our disclosure page. Want to Know How We Make Money? – Click Here! Once you’ve got your tree sorted there are a few other things you make be after like Christmas cards, gift idea and even Christmas gift wrap. We have a few links here which might make your life a little easier…. We hope your holiday season is a great one for you and those you hold dear – Merry Christmas! This site (and the other one’s I run) are only able to be run because I use different tools. People often ask, ‘what tools do I need to make money online?’ and there are certainly a lot of different ones available. This post links out to all of the tools I use – please be aware that some of these are affiliate links so when you sign up to use them I may get a commission – this is at no cost to you however. My full affiliate disclosure can be found here. 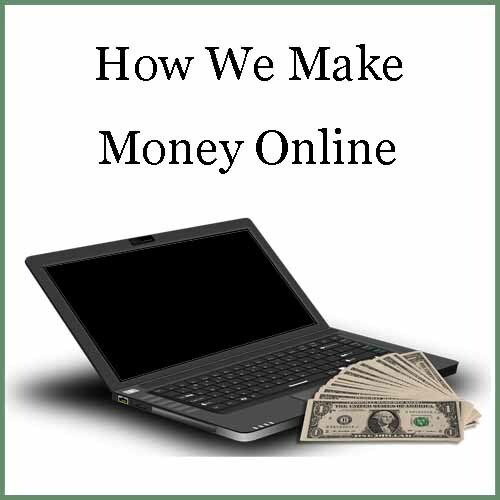 Before I get to the tools let me tell you what affiliate marketing is – it basically means that if I link to something that I think you might like on a site such as Amazon and you click on that site and decide to buy it then Amazon (or whatever site you’re on) will pay me a small commission. Very much like a salesperson. In other words an affiliate marketer is a salesperson who works online. I guess the first thing you need is hosting and I like to use SEO Praxis – the owner Anne is very helpful and when I set up my first website I asked her to add wordpress to it for me (and she’s done so for every website since). This is great if you’re not very good at coding and such. I have emailed her with some really newbie questions at times and she’s always gotten back to me and offered up solutions. I can’t recommend this service enough. The other tool I use is an HTML builder, this is probably NOT a necessary one, but it’s one I wouldn’t be without these days. Once you’ve started making money with your site I would definitely look at getting it and the name is (drum roll please) Easy Product Displays or EPD for short. Basically you can just use HTML to build your own displays if you are starting out, but personally I wouldn’t be without EPD myself. I used to blog without it, but I’m not that fast with HTML sometimes and it would take me soooo much time! When I tried EPD I knew I wasn’t ever going to be without it. Anything that saves time and looks good on the blog just has to be in my arsenal of tools – there’s also lots of different ways to use it so it really works hard for the money. When it comes to promoting my work I do use a scheduler for Pinterest and the one I use is Tailwind – this also now has instagram scheduling available too, but I haven’t tried that side of it. Since using Tailwind my click through rate from Pinterest to my sites has definitely increased. I also like the fact that I can schedule in time once a week to sit down and schedule a weeks worth of pins in one time and when I go on holiday I get 2 or 3 weeks set up to merrily pin while I’m away enjoying myself – what could be better? There are schedulers for other social media platforms as well, but as I write this I’m not using any of them although there is one in particular that I’m planning on trialing soon – I’ll keep you posted! I’ve been earning money online for over a decade now (and coffee money for a few years before that) so I’ve picked up lots of different tips along the way, but I still learn new things everyday. The internet is also constantly changing which means there’s always something new to learn! What Works Now which is an e-book for Amazon affiliates and has lots of tips and tricks in it. Easy Product Displays Tips & Tricks which is video base and a great idea for people who are just signing up for EPD (which as I mentioned above is a must have tool in my online toolbox). I’ve also taken a few course with Pajama Affiliates, they have a range of courses from beginner through to courses for more experienced bloggers – they mainly promote affiliate marketing. Monthly Page Views in 9 Months. This has now been updated with even more tips and a new name – the Traffic Transformation Guide. Now how much you learn from these books and courses depends on a number of factors and I can’t guarantee any of them will be the right fit for you, but I learnt something from each of them. If you’re a beginner then they are a great starting point. If you’ve been doing this for a while then you may know a lot of the information already, but you may not be assimilating it effectively. Sometimes you can read the same thing over and over, but one person writes it a certain way and it’s like you suddenly flicked a switch and it makes sense!